This tutorial started off as an article I wrote on Minecraft: Pi Edition for the Issue 11 of The Mag Pi, a magazine written by Raspberry Pi enthusiasts, and builds on my first post Raspberry Pi - Minecraft - API Basics, which describes the basics of how to use the API. I highly recommend you give The Mag Pi a go, its always full of interesting and relevant articles. 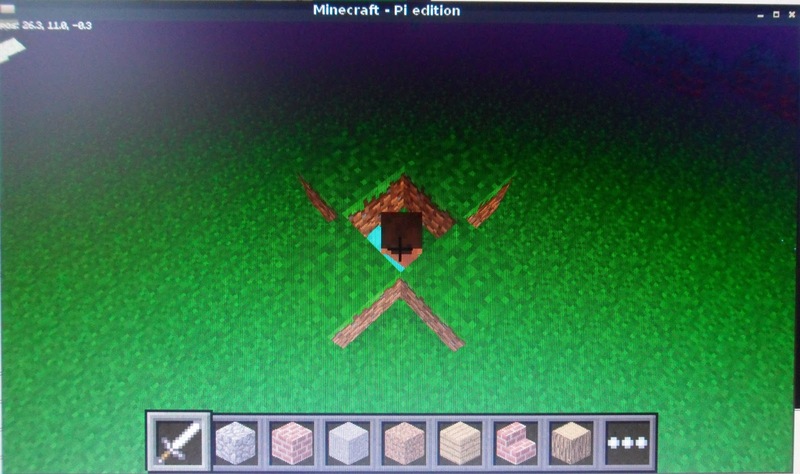 If Minecraft: Pi edition isn't already installed on your Pi, head over to www.raspberrypi.org/documentation/usage/minecraft and follow the instructions. The API allows you to write programs which control, alter and interact with the minecraft world, unlocking a whole load of minecraft hacking. How about creating massive structures at the click of a button or a bridge which automatically appears under your feet allowing you to walk across massive chasms or a game of minesweeper, a huge real time clock, a programmable directional cannon, turn blocks into bombs or the game snake? Minecraft is a world of cubes or blocks, all with a relative size of 1m x 1m x 1m, and every block has a position in the world of x, y, z; x and z being the horizontal positions and y being the vertical. You can interact with the server directly by sending a message to it, but the nice people at Mojang also provide libraries for python and java which simplify and standardise using the API. The libraries are installed along with the game in the /opt/minecraft-pi/api/java and api/python directories. The following example is written in Python and uses Mojang’s python api library. We need to create a directory to put our program into. We are going to need 3 modules, the minecraft.py and block.py modules from the minecraft directory containing the library we just copied and the standard time module so we can introduce delays into our program. 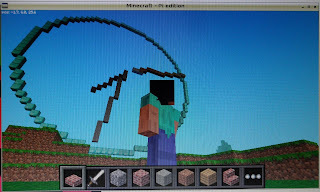 Next, we need to use the Minecraft class in the python library to create a connection to the game’s server, this object will also be how we interact with the game and will provide access to all the functions. When your program runs this statement, Minecraft will have to be running and you will need to be in a game, otherwise you will get errors. Using our minecraft object, mc, we can then interact with the game and send the player a message. We will also put a delay in using the time.sleep() function otherwise the whole program will run too fast for us to see what’s going on. Using the program built so far, you can test to make sure everything is working. Load up minecraft and create a (or enter an existing) world then if you’re using Idle pick 'Run, Run Module' from the menu. If all has been setup correctly you will see the “Hello Minecraft World” message in the game. Interacting with the player is done through the player class of the mc object allowing us to find the position and change the position of the player. The next block of code finds the players position using the getPos() command, which returns an object of x,y and z coordinates, the setPos() command is then used to move the player 50 blocks up, by adding 50 to the player’s y coordinate. We then add a delay, so there is enough time for your player to fall down to the ground! 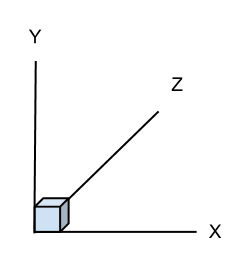 You can use the position of the player as a starting point for interacting blocks, this way you can find out what block the player is standing on or place blocks around the player, there is however a challenge, the x, y and z coordinates returned by the getPos() function are decimals (aka floats), as your player can be in the middle of a block, but to interact with blocks we need to use whole numbers (aka integers), so we need to use the function getTilePos(), which returns the block (or tile) he’s standing on. 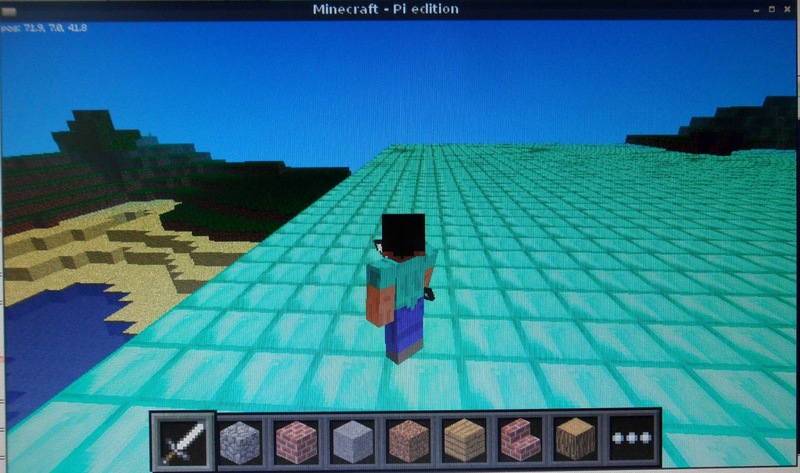 The code below gets the players tile position, it then calls the minecraft API’s getBlock() function to find out the type of block the player is standing on (by minusing 1 from the y co-ordinate) before using setBlock() to create blocks of the same type the player is standing on around him. So if your player is standing on DIRT, he will end up with DIRT surrounding him, however if he is standing on STONE, STONE will appear. We have now trapped our player within 4 blocks (providing he doesn’t break out! ), in order to set him free we need to remove a block. Removing blocks is done using setBlock(), but rather than making the block solid like WOOD or STONE we set it to AIR. A full list of all the available blocks can be found in either the minecraft api specification or in the block.py module in the python api library ~/mcpi/api/python/mcpi/block.py. The API also allows you to set many blocks at a time, allowing you to create cuboids very quickly using the setBlocks() command. It works by specifying 2 sets of x,y,z coordinates which it then fills the gap between the 2 coordinates with a certain block you pass as the final parameter. The code below will create a diamond floor underneath our player 50 blocks (across) x 1 block (up) x 50 blocks (along), with our player in the middle (i.e. 25 behind and to the left, 25 in front and to the right). There are a few other functions available in the api which should be explored but using only the small number discussed in this article, its possible, with some imagination and a small amount of programming knowledge to create some quite fantastic constructions, tools and utilities. I love minecraft, its a tremendously creative game and with the Pi edition’s API it opens up new level of creativity and will hopefully encourage more people to try their hand at programming. If you want to see more examples of what I have done with Minecraft: Pi edition (e.g. 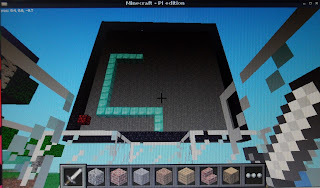 a massive analogue clock, the game of snake, an auto bridge which appears under your feet or the whole of Manhattan) head over to my Minecraft page. I love this blog!! I've always wanted to know how to mod Minecraft Pi. But can you make it a little clearer? What are you struggling with? Is there something specific you want clearer? Well, I had trouble at first. I was thinking that maybe you can put in which files you are editing, etc. AS I SAID BEFORE, I AM WORKING ON A PROJECT THAT WILL ME MASSIVE!!! SO PLEASE HELP AND REPLY FAST! mkdir is the command to create a directory. mkdir ~/minecraft-magpi creates a directory called minecraft-magpi in the /home/pi directory. You would run these commands in the terminal. You mention your computer. Are you using a raspberry pi? Have you thought about starting with some linux usage tutorials before embarking on your big project, it would give you some useful knowledge. yes, i meant my raspberry pi. i understand that the stuff should run in something, but where? i am new to raspberry pi and dont really know how it works... Thank you for the reply! If you are using the desktop. You can run this commands in a terminal, double click LX Terminal on the desktop to open up the command window. THNX Martin!!! it is working great! you dont know where i could find a program like this one (that builds things for you) for computer? A program like what one? a program that builds stuff for you on minecraft. Thanks! This got me started with the API so now I know roughly how to make something of my own! Are you by any chance using Idle 3 (and therefore Python 3)? The API doesnt work with python 3 (without doing some fiddling). Are you by chance using IDLE3 (and therefore Python 3?). If so switch to IDLE Python 2.x). The api modules arent python 3. Um.. How would I do that? I'm not very good with the Pi. could i just copy the code from minecraft.py and block.py and just put it in there??? Through the tutorial you are meant to build up 1 program not many programs. I hope that makes sense. Thanks so much! 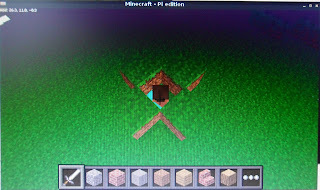 Also, did you know that the current version of NOOBS (raspberrypi.org/downloads) has Minecraft Pi Edition pre installed? I didn't like it that way, because I Like going inside and changing the names of worlds and things like that. :) I went ahead and uninstalled the pre-installed package, then did it the way your tutorial shows, then I played around until I got a nice grass block icon for it on the desktop. 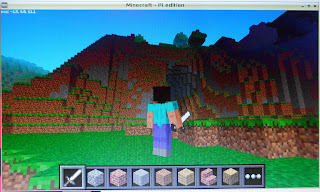 Just wondering, if I follow your tutorial for making a Minecraft server on my Raspberrry Pi, does it run a PC Minecraft server, or a Pi Edition one? Keep up the good work! Hi, at the Raspberry Jam at PyConUK Coventry, Sept 2014, you handed out a neat four-page (4xA5) version of this article, which would be ideal for schools. Is that available as a freely distributable PDF, please, and if so from where? Looking forward to your book. import minecraft.Minecraft ImportError: No module named. when you reply could you break it down so that I could understand the code a bit better. and what does it mean by module. Minecraft comes installed with raspbian as default now so my tutorial is a little out of date. Change your import to be import mcpi.minecraft as minecraft. I have updated the tutorial to reflect the latest changes in Raspbian. Hopefully it should work for you now. 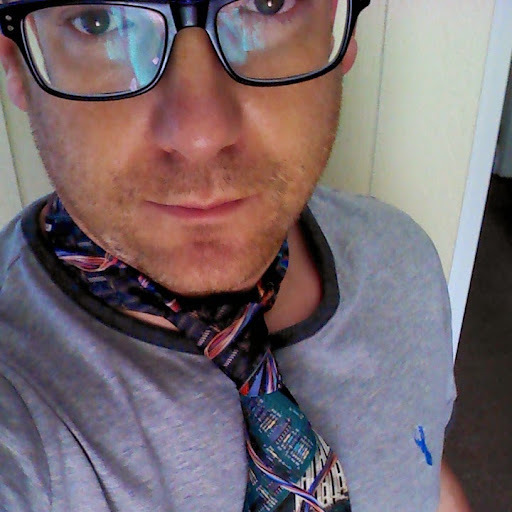 I wondered if you can help. I'm trying to set minecraft up as a coding tool for primary school kids. I've bought your book and followed your instructions, but the first program won't work. I've installed the AIMStarterKitPi.tar.gz onto the pi (minecraft Pi was already installed) and extracted this as per your instructions in the book. I've then followed you instructions and entered the code into IDLE (not IDLE3) and triple checked it for accuracy. ImportError: No module named connection. How do I fix this? I don't understand what's gone wrong? The usual problem if you get the "no module named connection" error is because the code is being run in python 3 not python 2. This might not be your issue because you seem pretty clear that you are using IDLE (and not IDLE 3), but I would double check that the python shell shows you are running Python 2.x.x. If you submit a post in the forum http://www.stuffaboutcode.com/p/adventures-in-minecraft-forum.html along with your code I will do my best to help you. You might also find the videos on the companion website, they take you through adventure 1 step by step. I feel a bit daft now, i'd opened both IDLE and IDLE3 by accident and ended up in the IDLE3 window so all is resolved now! No problem. We have all been there. Im glad you are up and running. Do you have a point to make? Its an init.d script for starting a VNC server... Well done. Are you just posting obscure spam? For info - when you use mc.player.getTilePos() it only returns data for the 'host' player, you can use mc.entity.getTilePos(entityid) to return the position for any player. Martin, thanks using entity worked like a charm. We have printed out your api reference it is awesome companion to the adventures book. Really let's us expand the options and complexity of the solutions. Tons of fun, thanks for putting that together. Quick follow up question do know how to change a players name or where that is stored? Good news. Unfortunately the Pi edition doesn't allow you to change the players name. I've got a Raspberry Pi with Minedraft installed with it and I have your 'Adventures in Minecraft' book, but I am stuck at adventure 1! I have written down all of the code to say "Hello Minecraft World" , (CAREFULLY(with no mistakes)) but when I press 'Run' it switches to Python Shell and says, "ImportError: No module named mcpi.minecraft"
Have you downloaded the starter kit and saved your program to the 'MyAdventures' folder? The error is saying it can't find the minecraft api module which is in the MyAdventures/mcpi directory. Create a new post in our forum, it'll be easier to help you there, following the Adventures in Minecraft tab at the top of the page. I didn't know where to get it. I have downloaded the starter pack for my Pi and it came up with an Xarchiver window and it showed the API and just some Licenses. What do I do now? I tried the "Hello Minecraft World" command again but again it said, "ImportError: No module named mcpi.minecraft"! Well that sounds positive. Did you extract the files to the /home/pi directory? There is a video on the wiley.com/go/adventuresinminecraft website which shows you how to setup your raspberry pi and get hello minecraft world working. Perhaps that might help? It would be great if you could create a post in the forum if you need more help, that way others can help and we can share links, pictures, videos, etc. Thanks for your help Martin! Hi Martin, it is kind of annoying when i want to run obsidz_teleport in minecraft pi cos i have to type it in lxterminal. Do you know any way to make it so that it runs the code automatically when i open one of my worlds. Please help! 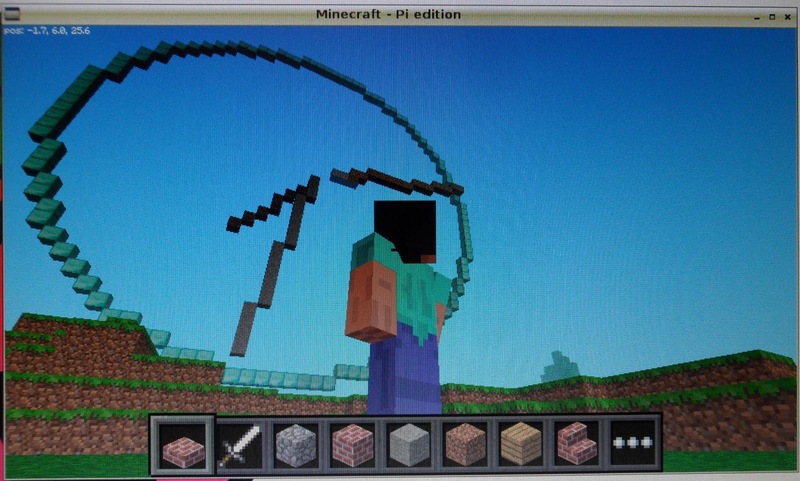 Martrin, great job you are doing - I am a teacher and Minecraft is a super motivator for teaching Python. I few months or more back I bought some B+ Pis. Downloaded and installed the then latest Raspian image. The new Minecrat tutorials refer to IDLE 3 now but I get errors when running Python 3 scripts for Minecraft. I ran apt-get to download and install updates but this has not fixed the probelm - what do you suggest? If I download the latest image onto my micro SD card will this fix the problem? Many thanks. Hastklass. Do you think I can download pi minecraft on a chromebook? you can download it from pi.minecraft.net using any browser, I doubt it would run though. Also, I don't have internet on my pi. Do you think I can download your programs on another computer, and then copy them to my SD card? Do you know anything about the Koding app on google chrome? If so, is it possible to, throught the terminal on the app, download the files and minecraft and play them inside the app on a chromebook? Sorry Im not familiar with the Koding app. OK. I saw that there is a version of raspbian that is newer than Wheezy. Is there a way to update my version of raspbian without loosing all my files? The above commands will do it and won't affect any of your Minecraft Python files stored under /home/pi. But,(not again! ), this time I ran the module, after extracting the file, and instead of the "no module named: mcpi.minecraft", I got a new message saying "ImportError: No module named connection"! Hi Martin. New to this, and I have an issue. When I run the module, I get NameError: name 'player' is not defined. Please tell me what stupid mistake I am making! Are you doing mc.player... ? (mc is a vriable holding the Minecraft client reference). The player.getDirection(), player.getPitch(), etc functions are failing for me (vanilla Raspian install). The "old" player functions (getTilePos(), etc) work. What do I need to do to enable them ? Hello Martin, from Paris France. Just got your Adventures in Minecraft, I'm pretty enthusiast about it. Playing with my seven year old daughter on this Minecraft server, I was wondering if by any chance there was a way to enable / apply the Python scripts your refering to ? Thanks for any help. All the best. I was just wondering why it looks impossible to type Command Lines into the chat ? But I still get error messages telling Commands are not recognised. Hmm some text is missing because I used greater and lesser signs. I teach children programming. I wanted to use Python and Minecraft. All are logged into the same server. On computers where there is no server Minecraft does not respond to commands with Python. Does not display any error. What is wrong? 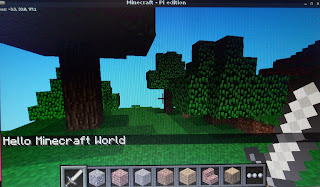 In order to use python to control Minecraft, you need to connect to an API, this API is either Minecraft: Pi Edition or for the full version of Minecraft, a plugin, usually RaspberryJuice, which runs on a server. Without a plugin providing the API you cant connect. Simple as that really! Are you using Minecraft: Pi edition or the RaspberryJuice and full fat minecraft? If your using the Pi edition, I dont think there are any iron doors.